This is one of the challenges proposed for the UP Singapore Urban Prototyping Weekend. Share your inspirations and solutions at CoLAB. In 2011, about 6.9 million tonnes of waste was generated in Singapore, and each person generated around 1,330 kg of waste in a year. The total waste generated has increased by 48% from 2000 to 2011. 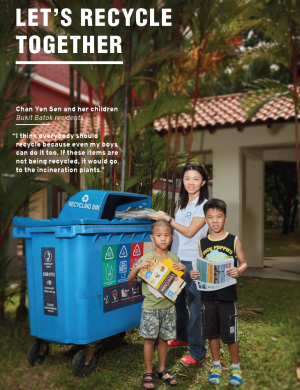 The recycling rate in Singapore for 2011 is 59% and has been increasing steadily over the years. 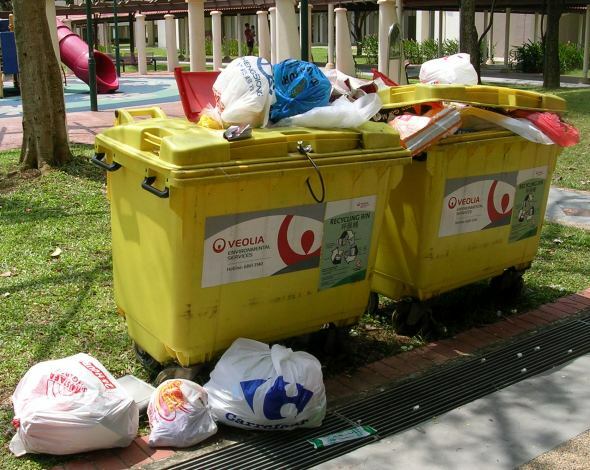 The government has set a target of 70% recycling rate by 2030 in the Sustainable Singapore Blueprint. 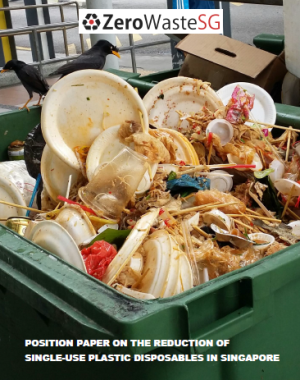 41% of Singapore’s waste is still disposed of, with 38% going to the waste-to-energy plants for incineration and energy recovery, and 3% of non-incinerable waste going to the Semakau Landfill for landfilling. Currently, the National Environment Agency (NEA) conducts an annual waste study to determine the waste composition, and the amount of waste recycled. NEA also has waste data for waste disposed from different sectors – domestic, trade, industrial and commercial. 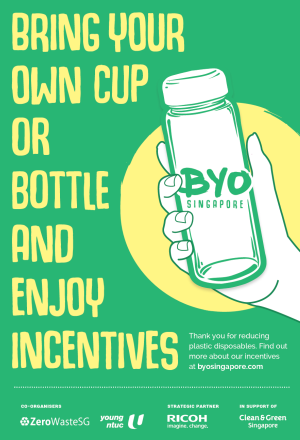 To reduce waste in Singapore, we need to have a better understanding of waste generation and flows from the waste source to the disposal or recycling facilities. We have to monitor waste flows from specific sectors and locations, and on a regular basis. For example, if we know the daily, weekly or monthly amount and type of waste disposed and recycled from each company in an industrial estate. We could find out whether the company or industrial estate is generating more or less waste over time, what waste types are more common, or what waste are not being recycled. We could benchmark companies based on industrial estate, size, sector and location, and find out who is the best and worst performer in terms of waste disposed and recycling. With the data on waste flows, we could manage waste more effectively. 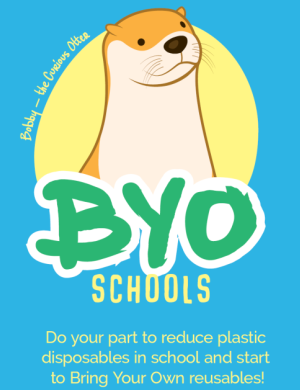 NEA could target specific companies, industry sectors or location, and introduce recycling programmes or have targeted educational campaigns and programmes. 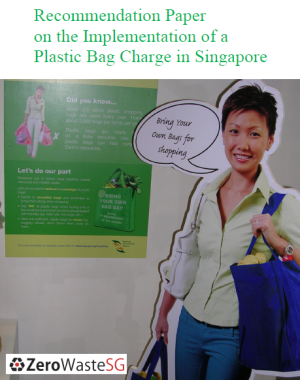 There is also the potential of waste exchange and matching among companies. Waste generated from one company could be resources for another company. 1) A method of collecting regular data on waste flows from NEA, waste collectors, and recycling companies from specific generation sources. 3) A process or programme of using the waste flows data to reduce the waste disposed or increase the waste recycled from companies, sectors and locations. 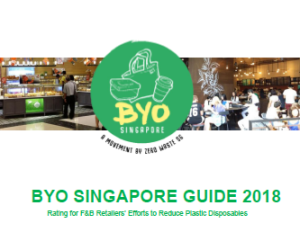 As my opinion, everybody knows Singapore is a very clean country.But I realise that singapore does not do very well in recycle.We hardly to find reclycle bin in MRT and city especially. these are the most busy places compare with other places.If every body trows the recycle rubbish (eg. glass bottles,tissue box,news paper),is there any body will separate the normal rubbish and the recycle rubbish? As we can see,Taiwan and Japan can give us a good example. @Eniz, you can view the locations of the recycling bins in your HDB estates on SLA OneMap under the Environment theme. There are also recycling bins at several high traffic areas such as MRT stations and Orchard Road, and also at private buildings such as shopping malls, but unfortunately the locations are not available on the SLA OneMap.